There are encouraging signs in the US economy and auto sales are one such indicator, but if it comes down to a simple equation of supply and demand, the long-haul industry is no part of a rosier view. It’s a simplified model, of course, but the soaring sales of cars express belief in the future and prosperity as well – the eternal human quest for the good life. This is somewhat corroborated by recent news reports that the number of homes in foreclosure is finally shrinking. Other prognostications tell of a dynamic holiday season with new records for online shopping, possibly resulting in a temporary job boom, at least. Meanwhile, the trucking industry and those hard-working Americans who ply our nation’s highways delivering the goods we all want or need are facing a shrinking economy, at least at present. Irwin reminds that between May and August this year, US factory orders dropped 5.2 percent in August, as many retailers waited for the other shoe to drop. Everyone is waiting for the economists to unequivocally state the recession is over – to see irrefutable evidence with their own eyes. It probably is, but things are so volatile at present no one's really willing to come out and say so. J.B. Hunt Transport Services Inc. (JBH) is the biggest publicly traded trucking company in the country. Third-quarter results released last Thursday afternoon, set the firm’s earnings at a penny a share below expectations, according to the Washington Post. Not much, but as the saying goes, every penny counts. Its container business, shipping the big metal boxes by sea, rail or truck, reported strong growth, but the problem is in the trucking arm of its business. JBH hauled roughly 2,300 fewer loads July to September in 2012 than a year ago, dropping 2 percent. The firm’s semi-trailers logged 6.6 million fewer laden miles last quarter, a decrease of 12 percent. That’s a lot of lost income to drivers and taxes paid by the industry, not to mention lowered inventories around the country. The Dow Jones Transportation Average has also dropped 4 percent since June, while Standard & Poor’s 500 posted a 5 percent increase. So though cars are selling briskly, sales of heavy commercial trucks are way down. Big engine builder Cummins Inc. has announced it may cut up to 1,500 jobs by year’s end due to a major drop in orders. “As a result of the heightened uncertainty, end customers are delaying capital expenditures in a number of markets, lowering demand for our products,” Cummins CEO Tom Linebarger told the Post. Meanwhile aluminum giant Alcoa sees a downward trend in raw material demand from the sector, as well. Another aspect of the economic puzzle was reported by CNBC, involving the time American’s hang on to new cars is shortening again. Phil LeBeau, writing for CNBC, attributed a report to Experian stating the latest data shows the average length of ownership for a new vehicle dropped to 66.2 months in the second quarter – two months under last year’s level. Another interesting facet is which cars are being kept the longest. They include Buick, Volvo, Chrysler, Dodge and Ford models, all at well over 70 months retention. LeBeau attributes the rate of car sales, currently at its high point since 2008, to an improving economy, low interest rates and the improving fuel economy of modern vehicles. It also has something to do with the rebound in auto leasing and the relatively higher value of some used cars. We know folks with leased vehicles who are being hounded by sales people months before the contract is up – because they already have a buyer waiting. So it’s ultimately a matter of perspective that depends on whether you see the glass half full or half empty. 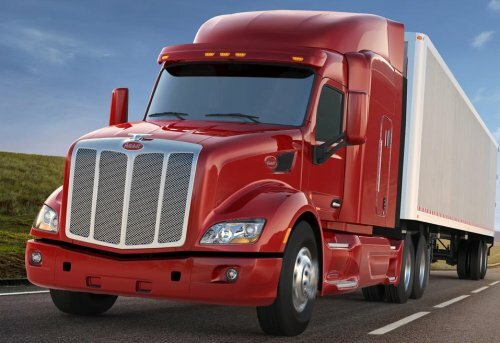 If the demand side of the economy continues to grow, eventually so will the supply side – which means the long haul trucking industry in this case.